Using ROLLBACK with MyISAM is useless. A ROLLBACK command is used to undo any DML that occurs during a transaction (i.e. START TRANSACTION and COMMIT). The MySQL default storage engine MyISAM does not support transactions. It is easy with the SHOW GLOBAL STATUS command to see if your application code uses ROLLBACK. By performing two samples you can look at the delta over time. The statpack utility is one product that provides a human friendly display of this delta. As seen below, the use of ROLLBACK in combination with the read/write ratio and the my.cnf –skip-innodb indicate unnecessary database work. If the ROLLBACK command doesn’t do anything you may be tempted to consider this doesn’t do much harm, think again. In the following example of statements analyzed via TCP packets, the ROLLBACK attributed to 21% of the execution time of all SQL in this sample. In a well tuned system, the greatest time to execute an SQL statement is not the running of the SQL inside the MySQL kernel, it is the network latency of making the call, and the time taken to return the resultset requested. In this extreme case on a production system, 1/2 the statements executed where unnecessary. Uncovering this issue was three commands and less then 5 minutes of my time. The statpack report uncovered 4 additional red flags at the same time. If you are not monitoring your production system, start now. For assistance on what to monitor and analysis please contact me for more information. With a new quad core desktop with 8GB RAM & 1TB HDD I wanted to install the Ubuntu desktop version using LVM. This is not possible with the “Desktop CD”. You need to use the “alternative CD” which will easily allow you to configure LVM via a text/cursors installation and also give you a deskop GNOME environment. The “Server CD” also gives you LVM options, but no GUI. While there are complicated instructions on how to configure/setup LVM with various versions of Ubuntu, all you need with Ubuntu 10.04 is the right CD. While installing I also read up on two tips that I found of benefit. Installation was rather seamless, the only annoyance the cursors interface not displaying clearly on my Dell 2407WFP monitor during the installation process. Monitor works fine with installed GUI at 1920×1200. My purchase yesterday was a HP Pavilion p6340f Desktop PC with the following specs. The purchase price $749+tax which was more then B&H at $699 but not being open Friday nights, B&H it’s your loss. There is also a P6320 model with AMD Phenom II X4 820 2.80GHz processor and NVIDIA GeForce 9100 Graphics for the same price, it was a tough decision. I’m not trilled with the HP part having not enjoyed experiences with HP servers and Compaq desktops, however time will tell. How to find MySQL developers? Brian wrote recently Where did all of the MySQL Developers Go?, while over in Drizzle land they have been accepted for the Google Summer of code along with many other open source projects. MySQL from my observation a noticeable absentee. Historically, the lack of opportunity to enable community contributions and see them implemented in say under 5 years, has really hurt MySQL in recent times. There is plenty of history here so that’s not worth repeating. The current landscape of patches, forks and custom MySQL binaries for storage engine provider has provided a boom of innovation that sadly is now lost from the core MySQL product. In Drizzle, community contribution is actively sought and a good portion of committed code is not from the core Drizzle developers (wherever they work). As a Drizzle GSoC project contributor last year Padraig for example this year is helping to mentor. The Drizzle project contribution philisophy, GSoC and other activities such as the Drizzle Developer Day all enable the next generation of developers to be part of ongoing project developement. Oracle, what are you going to do to foster an active community and new long term developers for MySQL? A key differentiator in Drizzle from it’s original MySQL roots is user based authentication. Gone is the host/user and schema/table/column model that was stored in the MyISAM based mysql.user table. Authentication is now completely pluggable, leveraging existing systems such as PAM, LDAP via PAM and Http authentication. In this post I’ll talk about HTTP authentication which requires an external http server to implement successfully. You can look at Part 1 for PAM authentication. By default during compilation you may find. configure: WARNING: libcurl development lib not found: not building auth_http plugin. On Debian this is found in libcurl4-gnutls-dev. On RedHat it's in libcurl-devel. After successfully installing the necessary pre-requisite you should see. We need to enable the plugin at server startup. You need to ensure the auth_http plugin is active by checking the data dictionary plugin table. The auth_http plugin also has the following system variables. NOTE: Replace the domain name with something you have, even localhost. $ bin/drizzle -e "SHOW GLOBAL VARIABLES LIKE 'auth_http%'"
By default, currently if the settings result in an invalid url, then account validation does not fail and you can still login. It is recommended that you always configure pam authentication as well as a fall back. 17:32:32 ERROR 404: Not Found. To correctly configured your web server to perform the HTTP auth, you can use this Apache syntax as an example. The following is added to the VirtualHost entry in your web browser. We check we now need permissions for the URL. You need to create the username/password for access. Confirm that the http auth with correct user/password works. In this post I’ll talk about PAM authentication which is effectively your current Linux based user security. This information is based on the current build 1317. Your Drizzle environment needs to be compiled with PAM support. You would have received the following warning during a configure. configure: WARNING: Couldn't find PAM development support, pam_auth will not be built. On Debian, libpam is in libpam0g-dev. On RedHat it's in pam-devel. You need to enable the PAM authentication plugin at drizzled startup. In order to enable PAM with Drizzle you need to have the following system configuration. This did some validation but still failed. It seems Bug #484069 may fix this problem, however this is not currently in the main line! Today I listened in on the O’Reilly webcast Introduction to Gearman by Eric Day of Rackspace. I thought I would follow through on the machine at hand; a Mac with OS X 10.5, however I again got caught up with the gearman PHP extension integration. A look at and older post Getting started with Gearman based on Ubuntu needed an update for Mac. First I downloaded and installed the latest gearman. This was version 0.12 and includes libgearman 0.7. You should always check for any more recent updates. Take note of the extension location, as I needed this for the next step. Php was already installed, which was good. However I found no configuration loaded. What exists is a default example only. In order to include the gearman extension I needed to do the following. $ php --info | egrep -i "(configuration|gearman)"
Ready now to try out the PHP examples. This week with a client I saw ext4 used for the first time on a production MySQL system which was running Ubuntu 9.10 (Karmic Koala). I observe today while installing 9.10 Server locally that ext4 is the default option. The ext4 filesystem is described as better performance, reliability and features while there is also information about improvements in journaling. At OSCON 2009 I attended a presentation on Linux Filesystem Performance for Databases by Selena Deckelmann in which ext4 was included. While providing some improvements in sequential reading and writing, there were issue with random I/O which is the key for RDBMS products. Is the RAID configuration (e.g. RAID 5, RAID 10), strip size, buffer caches, LVM etc more important then upgrading from ext3 to ext4? I don’t have access to any test equipment in order to determine myself however I’d like to know of any experiences from members of the MySQL community and if anybody has experienced any general problems running ext4. With the recent news by Brian about the Data Dictionary in Drizzle replacing the INFORMATION_SCHEMA, I was looking into the server status variables (aka INFORMATION_SCHEMA.GLOBAL_STATUS) and I came across an interesting discovery. This only retrieved 51 rows, which is way less then previous. What I wanted was clearly missing, all the old com_ status variables. Looking at what the data_dictionary actually has available revealed a new table. Kudos to this. Looking at list I saw an obvious omission, of “ping”. Something that caught me out some years ago with huge (300-500 per second admin_commands). I’m also a fan of Mark’s recent work An evening hack – Com_ping in MySQL. To update your Google G1 phone (mine is an Android developer unlocked phone) to Android 1.6 (Donut), I did the following. Confirm devices with $ adb devices This step drove me crazy because it would list no devices. It ended up being a faulty (and new) USB cable. When your phone is connected to USB, it will give you a notification, and usb icon on phone top menu. The instructions say to reboot, but in my case it rebooted automatically after the fastboot update. The problem after reboot was I was unable to sign in to google servers the first time. At G1 Dev Phone won’t connect to Google servers with valid SIM card I added the necessary AT&T/Cingular APN via details at http://modmyi.com/wiki/index.php/Carrier_APN_Settings. I could then go Settings | Data synchronization and continue the Google registration process. How do I identify the MySQL my.cnf file? If you are unfamiliar in administrating MySQL, the current MySQL configuration file generally found is named my.cnf (my.ini on windows). Where is that file. If only that question was easy to answer! MySQL will by default use at least one configuration file from the following defaults. MySQL also uses a cascade approach for configuration files. When you have multiple files in the appropriate paths you can see unexpected behavior when you override certain values in different files. You can however for example specify –no-defaults to use no configuration file, or add options to your command line execution, so even looking at all configuration files is no guarantee of your operating configuration. However for most environments, these complexities do not exist. These are known as the global options files. where MYSQL_HOME is a defined environment variable. Historical MySQL versions also looked at [datadir]/my.cnf however I am unaware if this is applicable in 5.x versions. Ubuntu for example also provides an ability to add options via an include directory. While you may have these default files, you may elect to start mysql with a specific configuration file as specified by –defaults-file. This option will override all global/instance/user locations and use just this configuration file. You can also specify additional configuration that supplements and not overrides the default with –defaults-extra-file. What files are on my system? $ sudo find / -name "*my*cnf"
This is actually worthwhile, especially if you find a /root/.my.cnf file which is default MySQL settings for the Operating System ‘root’ user. MySQL by default provides a number of recommended files however these are generally outdated especially for newer hardware. These files include my-huge.cnf, my-large.cnf, my-medium.cnf, my-small.cnf and my-innodb-heavy-4G.cnf. Don’t assume replacing your configuration with one of these files will make your system perform better. While several commands can help with identifying your configuration files and print defaults etc, it’s also possible to change your configuration at runtime. It’s possible that these changes are not reflected in your configuration files and pose an additional mismatch. Today, while on IRC in #pentaho I came across a discussion and a published my.cnf. In this configuration I found some grossly incorrect values for per session buffers (see below). It doesn’t take a MySQL expert to spot the issues, however there is plenty of bad information available on the Internet and developers not knowing MySQL well can easily be mislead. This has spurred me to create a program to rid the world of bad MySQL configuration. While my task is potential infinite, it will enable me to give back and hopefully do a small amount of good. You never know, saving those CPU cycles may save energy and help the planet. Stay tuned for more details of my program. MySQL is crashing, what do I do? Let me start by saying the majority of environments never experience problems of MySQL crashing. I have seen production environments up for years. On my own server I have seen 575 days of MySQL uptime and the problem was hardware, not MySQL. However it does occur, and the reasons may be obscure. To the unsuspecting, MySQL may indeed be crashing and you never know about it. 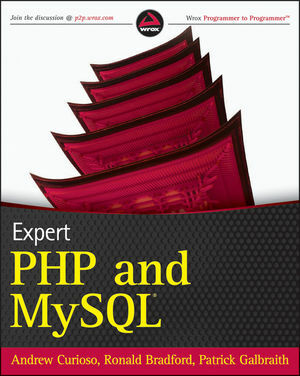 The reason is because most MySQL installations have two running processes, these are mysqld and mysqld_safe. One of the functions of mysqld_safe is to restart mysqld if it fails. Unless you review your mysql error log and for low volume systems you will never know. Hint Have you checked your MySQL error log today? You can determine quickly via SQL your instance uptime. When correctly configured, mysqld will generate a core file (See How to crash mysqld intentionally for background information on required settings). Your first check is to determine if the mysqld binary used has debugging information and symbols stripped. You need this information not stripped for identifying symbol names. You can use gdb and with a backtrace command (bt) you can see a stack trace of calls. This won’t help the average DBA without C or MySQL internal knowledge greatly, however it’s essential information to get to the bottom of the problem. In the following example I’m going to use Bug #38508 to intentionally crash my test instance. Lost connection is the first sign of a problem. We check the error log to confirm. 100306 14:51:49 [Note] Plugin 'FEDERATED' is disabled. 100306 14:51:50 [Note] /home/rbradfor/mysql/mysql-5.1.38-linux-x86_64-glibc23/bin/mysqld: ready for connections. Confirming we got the “Writing a core file” line, we can find and use this. Core was generated by `/home/rbradfor/mysql/mysql-5.1.38-linux-x86_64-glibc23/bin/mysqld --defaults-fi'. #18 0x00000000005e9146 in handle_one_connection (arg=dwarf2_read_address: Corrupted DWARF expression. You can use gdb to obtain additional information based on the type of information available. Is the problem a bug? Is it data corruption? Is it hardware related? Gathering the information is the first step in informing you of more detail that will enable you to search, discuss and seek professional advice to address your problem. I’m seeking help from the MySQL community for what tools are used today to generate complex reports for enterprise applications that use MySQL. In an Oracle world, you have Oracle Report Writer, in Microsoft Crystal Reports. In the open source world there is Jasper Reports, Pentaho Reports and BIRT however I don’t know the power of complex reporting with these. If anybody has experience using or evaluating these tools please let me know. This may lead to possible work. The easiest way is to use mysqldump to dump the schema and data, to change the schema definitions and then a client reload process, all with the correct client character sets. Working on our sample table test_latin1 which I have in a conv schema you can do. If you attempt this which technically works (as I've seen a similar example on the Internet) your bound to screw up something. While the mysqldump and mysql load use the correct client command line options, performing a blind conversion of all references of latin1 to utf8 will not only change your table definition, in my example it will change the name of table, and if would change any values of data that contained the word 'latin1'. For example. Be sure to realize now you need to connect with --default-character-set=utf8 or in our example, we use set names as a stop gap measure. A good practice with using mysqldump regardless of migration is to always dump the schema with the --no-data option, and then dump the data separately with the --no-create-info option. In this case, you can then manually edit the schema file, carefully changing latin1 where appropriate. This is your production data, so some manual hand verification is a good thing. The additional benefit is you can create your schema and verify the syntax is correct before loading any data. While mysqldump creates a single file, due to this dump and reload, you can split your data file and perform some level of parallelism for data loading depending on your hardware capabilities. While I only discuss the MySQL data and mysql client usage here, you should ensure that your programming language connecting to MySQL uses the correct character set management, e.g. PHP uses the default_charset settings in php.ini and even your webserver may benefit from the correct encoding, e.g. Apache httpd uses AddDefaultCharset httpd.conf. In our example our migration is successfully, however like life, your production data is unlikely to be perfect. In my next post I will talk about identifying and handling exceptions, including data that was wrongly encoded originally into latin1, or translation such as html entities from rich editor input fields for example.